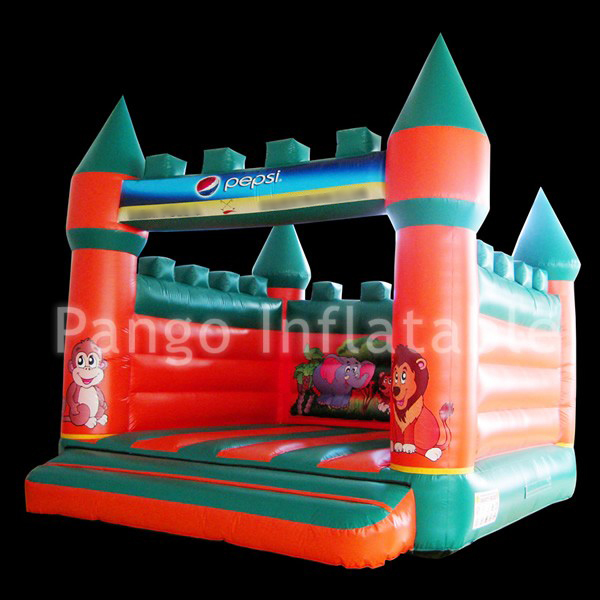 What should I pay attention to when using the inflatable castles and how to maintain them? Please ensure the power supply is normal and the fan works normally during operation. If you need to replace power or turn off the fan, make sure the children are all evacuated. For use in coastal or other windy areas, please fix the product on the ground by yourself. When using, please make sure that the ground is flat and free of sharp or sharp bumps. The ground should be covered with a protective layer, which can be sold on the market. When you're using an inflatable castle, may have besmirch product, can use bath jing to undertake cleaning. Please use soft towel when cleaning, not hard brush. When not in use for a long time, please keep the inflatable castle dry manic, and put in the shade dry manic place. If the inflatable castle is exposed to rain water in the process of use, please open the product for a time, blow with the fan, open the mouth of the other fans, blow the internal water and air to dry properly. The product is sewn by the high-speed industrial sewing machine, not sealed product. It needs the continuous air supply from the pinhole to run the air blower, so the bouncing effect can be achieved. Therefore, the air leakage of the product and running air need not be worried about normal appearance. In order to make the inflatable castle have good elasticity, some parts of this kind of toy need to leak air.